Deniz Bilgin is the co-owner of Stoke Newington Green Fruits & Vegetables. 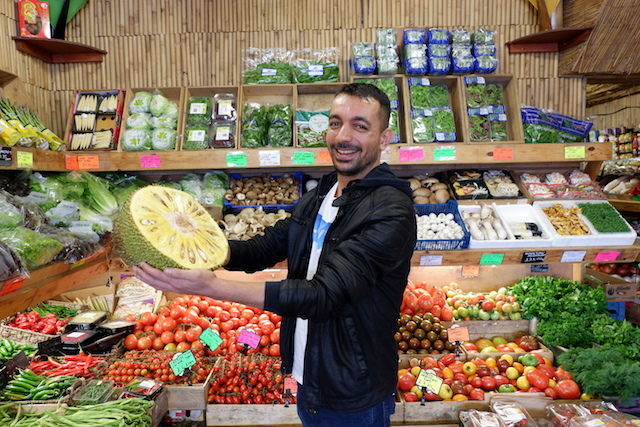 Bilgin is bringing his 11 years of experience and expertise of having worked at the New Spitalfelds Market, London’s biggest wholesale fruit and vegetable market, to his shop located on Church Street. I was born in Istanbul. Then, I relocated to Hackney in 1994 when I was 14 years old. Most of my family lives in London and my dad was already living in Hackney. Upon finishing secondary school in Hackney, I started to work at textile factories managed by people from Turkey. After the textile factories started to close one by one, those people from Turkey who had been working at the factories started to change directions, opting for the food sector. I then worked at the Sofra Cafe Restaurant chains as a waiter for three years. And afterwards, my 11 year adventure at the New Spitalfields Market began. 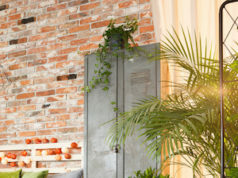 Fruit and vegetables from all over the world are imported to be sold at New Spitalfelds. I used to work nightshifts at the market. I managed to get promoted to the highest level over 11 years. Vegetable and fruit prices are like stock exchange markets, the rates and prices vary depending on the season and can even change within a day. Therefore, you can buy tomatoes priced at £5 today but you may need to buy a box of tomatoes for £15 tomorrow. This makes business a little stressful sometimes. 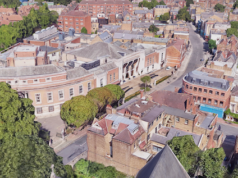 I thought I could manage the business in a wholesaler style as I had sufficient understanding of fruit and vegetable price uctuations after 11 years of experience at New Spitalfields Market. However, it didn’t work out that way. Back then, I didn’t know which vegetable would be used for which recipe. For example, people would come up to me and ask what parsley is. Or would ask how they could use parsley, or would ask how to use an Italian herb on such and such a dish. We have to answer these queries. My teenage and younger years were spent in Hackney. I know the people and the borough. But after buying this shop I’ve got to know them better. Our customers are mainly European: French, Spanish, Italian, Swedish. We can work out where they are from when they talk to their children in their native languages. 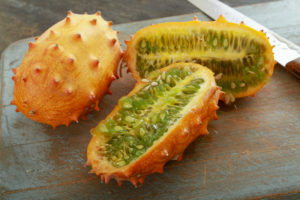 There is a fruit called Kiwano. One of the world’s most vitamin-based fruits. We have a red banana that is imported from Ecuador, which can be roasted before it’s fully grown and when it is grown enough it can be consumed just like a banana. 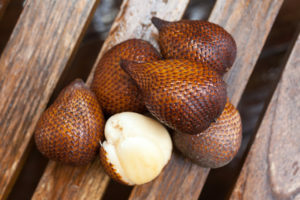 When we first introduced the snake fruit (originally known as Salak), people were afraid to touch it as it has a skin similar to a snake’s and tastes like a pear. The jack fruit which comes from the tropical countries is also an interesting one. 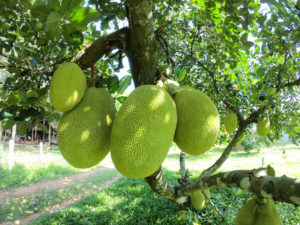 It grows on trees and can weigh up to 50 kilograms. It has a taste like a mixture of mango and pineapple. It’s been used mostly in vegan recipes. Italy has a herb called cima di rapa. It is known as turnip tops in English. You can use this herb in every recipe that has spinach in it, by replacing the spinach with cima di rapa. We offer free bananas for kids. We also provide a constant supply of fruit and vegetables to certain charities in Hackney that help homeless people. Stoke Newington Church Street is quite peaceful, there is a community feel going on. Families know each other as their children attend the same schools. As long as nothing gets stolen from the Whole Foods, this street never sees any fuss.